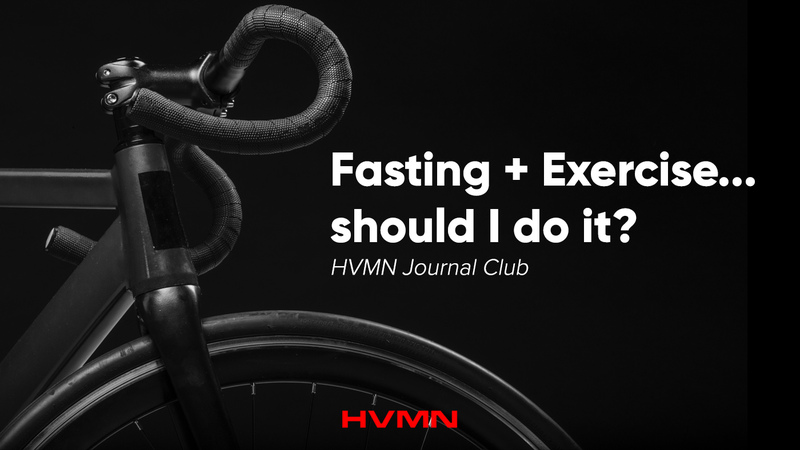 Should I Exercise While I Fast? One of the most common questions asked by fasters is if they should exercise during a fast. The worry that normal exercise routines will be negatively impacted by adding intermittent fasting is an understandable concern. This study aims to answer that question. Dr. Varady, the researcher of this study, does research mainly on alternate day fasting (ADF), which alternates a fasting day with a feeding day. Her fasting day involves consuming 25% of energy needs (as opposed to eating zero calories), and her feeding day allows you to eat without restrictions, ad libitum. Dr. Varady collected 83 participants and randomized them to 4 groups: ADF-only, exercise-only, ADF plus exercise, and a control group. In the combination and ADF groups, 83 participants were instructed to eat one meal equivalent to 25% of energy needs on the fasting days between 12:00pm and 2:00pm. In the study, the first 4 weeks (weeks 1-4) were controlled with food prepared out of a metabolic kitchen. The last 8 weeks (weeks 4-12), subjects met with a dietician weekly to maintain the ADF regimen by him or herself at home. In case you were wondering, subjects were able to drink water, coffee, tea, and sugar-free gum on fast days. The nutrient composition of the diets were based on the American Heart Association guidelines which followed a generally low-fat diet. The exercise-only and control groups maintained their regular food habits, had no restrictions on number of meals per days, and did not receive any food or dietary counseling. They had no restrictions on number of meals per day. Of course, only the combination and exercise groups participated in the exercise intervention. This followed the standard recommendation of moderate intensity exercise three times per week. The subjects used stationary bikes and elliptical machines. During weeks 1-4, exercise sessions ran for 25 minutes with a target 60% of maximum heart rate. Training was increased incrementally at weeks 4, 7 and 10 by 5 mins and 5% max HR, so that by week 10, subjects were exercising for 40 mins at an intensity of 75% maximum heart rate. ADF-only and control subjects were asked to maintain their regular activity habits and to refrain from joining an exercise class during the study. Body weight and waist circumferences were measured every week. Fat mass and lean muscle mass were measured every week using a tetra-polar bioelectrical impedance analyzer. Twelve-hour fasting labs, including LDL and HDL particle size assessment, were collected at baseline and week 12. At the end of 12 weeks, there was greater decrease in weight and waist circumference in both the combination group compared to ADF-only and exercise-only groups. Fat mass also went down in the ADF groups, with a greater decrease in the combination ADF plus exercise group. Guess what? Lean muscle mass was retained in all the intervention groups. These results suggest that combining ADF with exercise will result in greater loss of fat mass and may preserve lean mass. This is important since retention of lean mass is highly beneficial to maintaining resting metabolic rate. More studies need to be done in a broader population with longer follow-up, but muscle wasting or sarcopenia was not seen in this study. What happened to their lipid profiles? In the combination group, LDL went down and HDL went up. If we take a closer look at advanced particle testing, the change was remarkable with an increase in LDL particle sizes; the proportion of small, dense LDL particles (associated with the development of heart disease) went down in the combination and ADF-only groups while the proportion of large, fluffy LDL particles (not associated with the development of heart disease) went up in the ADF group only. The exercise intervention had no effect on the LDL particle size. In the end, our original question asked whether we could fast AND exercise. This study says “Go for it!” You get a greater body composition and lipid profile than with fasting or exercise alone. Alternate day fasting was not associated with loss of lean muscle mass or sarcopenia. The combination of alternate day fasting and exercise is a viable lifestyle intervention to help individuals struggling with obesity to lose weight, retain lean muscle mass, and lower the risk of heart disease. After dissecting this study, I asked myself: What would I like to see more of? The study’s subjects were generally healthy, excluding patients with obesity or history of cardiovascular disease. If the effect on the lipid profile is so favorable, this would be the population who would benefit the most. The study’s trial period was rather short and the recruitment rather small. Twelve weeks may not be long enough to observe changes in plasma lipids, such as triglycerides, or fasting insulin. This study looked at aerobic exercise. It would be interesting to see the muscle retention versus loss if ADF paired up with resistance training or high intensity interval training? This study looked at the standard American Diabetes Association diet, which reflects a higher carbohydrate composition. It would be interesting to see how ADF paired up with a low carbohydrate or ketogenic diet, which is popular in the community.